Find fantastic holiday deals to Barbados. Discover incredible offers on Barbados holiday packages and grab the best deals today with Instant Breaks. During the dry season from December to June. Barbados Dollars. US Dollars are widely accepted, as are major credit and debit cards. British Passport holders do not require a visa to enter Barbados for tourist stays up to 1 month only. Your passport should be valid for at least 6 months. Hepatitis A, Polio and Typhoid immunisation and malaria tablets are recommended for protection against disease. Yellow fever immunisation is required if arriving from an infected country or area. Please contact the Barbados Tourist Authority on 020 7636 9448 for up to date country information. Airlines to Barbados include Virgin Atlantic, British Airways, BMI and First Choice Airways. Services on Virgin Atlantic and British Airways are daily from London Gatwick. All 3 airlines offer direct non-stop Manchester service with up to 5 flights per week. All our featured carriers offer a Premium Economy or World Traveller Plus cabin so why not upgrade and start your holiday in style ask your travel consultant for details. For the latest update-to-date Barbados travel advice, click here. 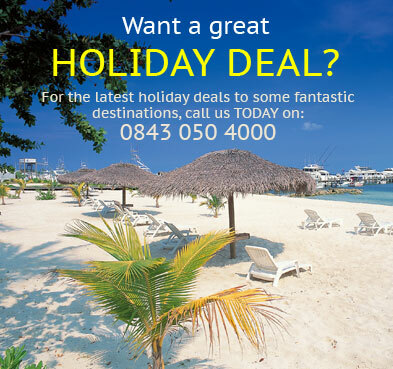 Book your Barbados holiday with confidence TODAY & SAVE £££'s!